2. 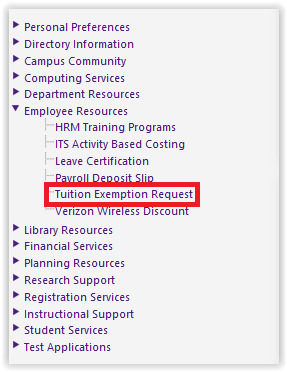 On the left hand side panel, expand Employee Resources, and click on Tuition Exemption Request. 3. If you have popups disabled, make sure you enable popups for: mapp02.lsu.edu and wait 10 seconds for the page to load.